This was not one of my best races, by far, and the [fake] news that this was going to be the last edition did not help. There were fewer runners than in the earlier races, meaning no protection on most of the route from what seemed like a constant headwind, as I ran by myself from the third kilometre. And I was tired from too much training (and not enough sleeping) the past week in Warwick. Or not enough training the previous week in Vienna. Anyway, this was not a great race and the local V2 [Grand Master] runner who greeted me with the above good-natured apostrophe when I passed him on the second km ended up one minute ahead of me. I could have even stopped at mid-race, were it not for a deficient watch operation, that kept me thinking I could keep with my earlier time [3:39 – 3:50 – 3:59 – 3:53 – 4:00 – 4:28 – 4:11 – 4:06 – 4:04 – 4:07 – 4:24 – 4:39 – 4:01 – 4:12 – 4:05 – 4:14 – 4:03 – 4:16 – 4:17 – 3:58 – 0:25] till the finish line when I found a 4mn difference with the official time! 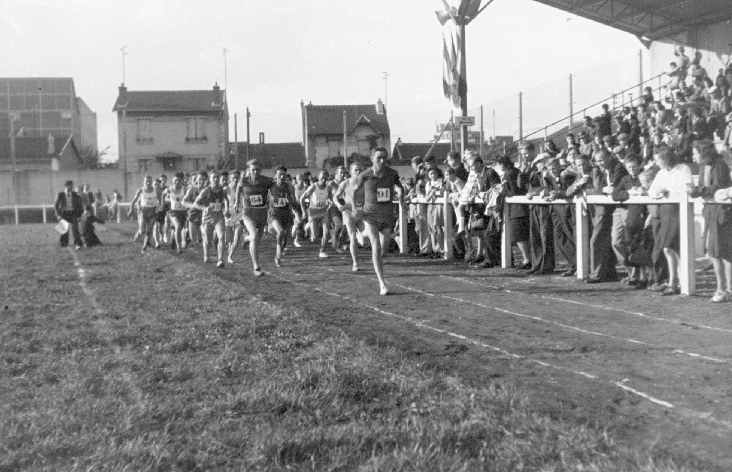 Despite the low participation of 356 runners, and with the support of runners from England, the town of Argentan has vowed to keep the race on for next years, calling for volunteers to man the route and the arrival hall. Till next time, then, hopefully! 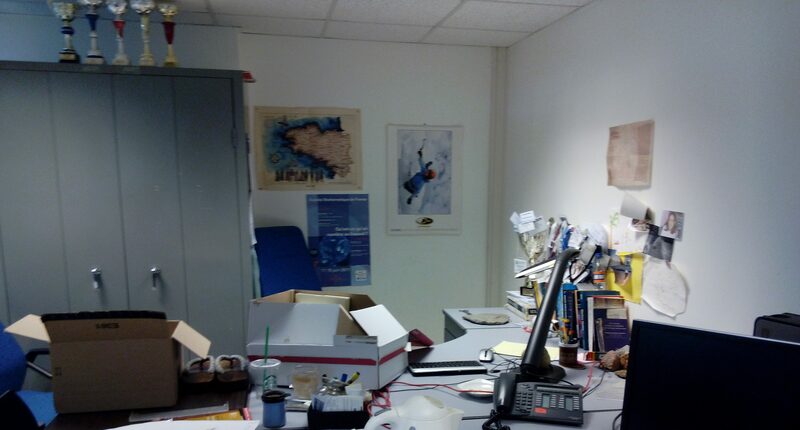 This afternoon I went to CREST to empty my office there from books and a few papers (like the original manuscript version of Monte Carlo Statistical Methods). This is because the research centre, along with the ENSAE graduate school (my Alma mater), is moving to a new building on the Saclay plateau, next to École Polytechnique. As part of this ambitious migration of engineering schools from downtown Paris to a brand new campus there. Without getting sentimental about this move, it means leaving the INSEE building in Malakoff, on the outskirts of downtown Paris, which has been an enjoyable part of my student and then academic life from 1982 till now. 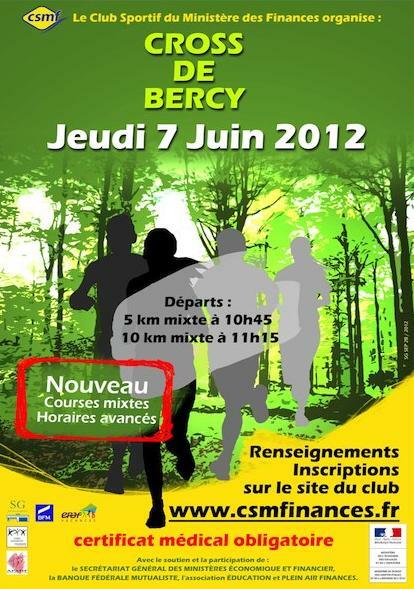 And also leaving the INSEE Paris Club runners! (I am quite uncertain about being as active at the new location, if only because going there by bike is a bit more of a challenge. To be addressed anyway!) 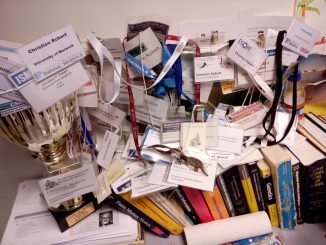 And I left behind my accumulation of conference badges (although I should try to recycle them for the incoming BNP 11 in Paris!). Once more, I managed to run my annual 5k in Malakof. And once again being (barely) there on the day of the race. Having landed a few hours earlier from Birmingham. 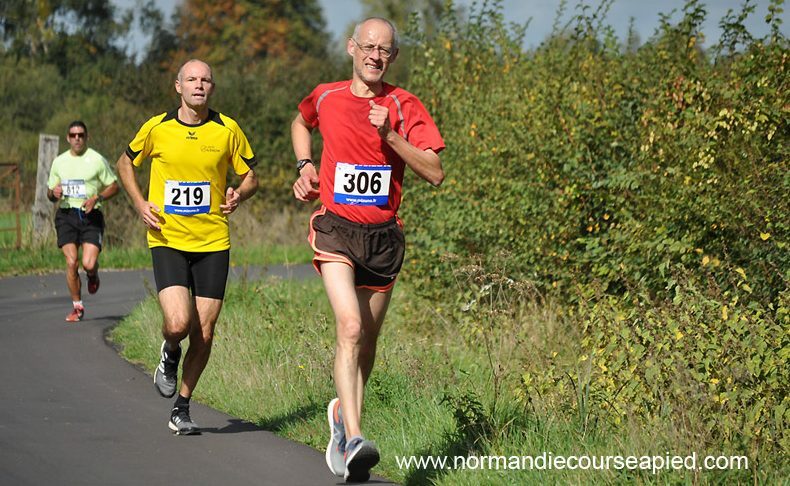 Due to traffic and road closures, I arrived very later in Malakoff and could not warm up as usual, or even squeeze to the first rows on the starting line. Given those handicaps, I still managed in getting close to my best time of last year (18:40 vs. 18:36). I alas finished second in my V2 category, just a few meters behind the first V2 and definitely catching up on him! My INSEE Paris Club team won the company challenge for yet another year. Repeating a pattern of now many years. Once more, I managed to run my annual 5k in Malakoff, having recovered from my Chamonix flu earlier and better than last year. And being (barely) around on the day of the race. I actually succeeded in achieving my best time over several years (3:41-3:47-3:41-3:43-3:43, for a total time of 18:36.) I also finished first in my V2 category, a feat I was far from expecting. The light training last week in Warwick eventually did help for such a short distance at a faster pace! And my INSEE Paris Club team won the company challenge for yet another year. Repeating last year setting, I was furthermore running the race with my daughter, who ended third ex-aequo with a friend.